Giant cotton swabs soaked with acid seem to be all the rage lately. 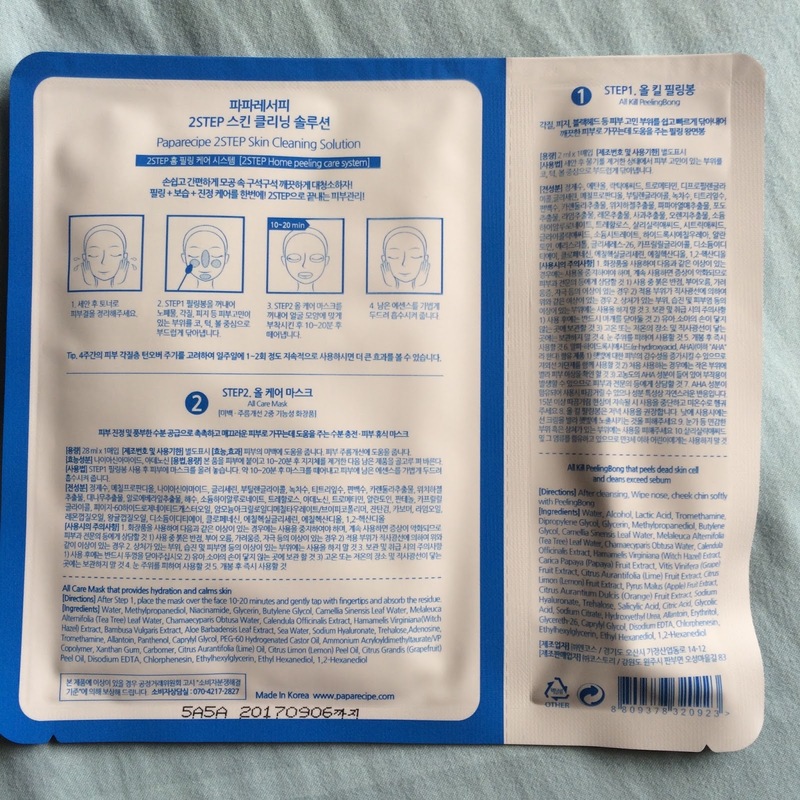 I reviewed the Lucy Beauty Market Miss Wang Peeling Bong from Cupidrop last August, which I had good results from. So logically I had to try more, and see how it compared. The Papa Recipe 2-Step Skin Cleaning Solution is a two step exfoliating and mask set. 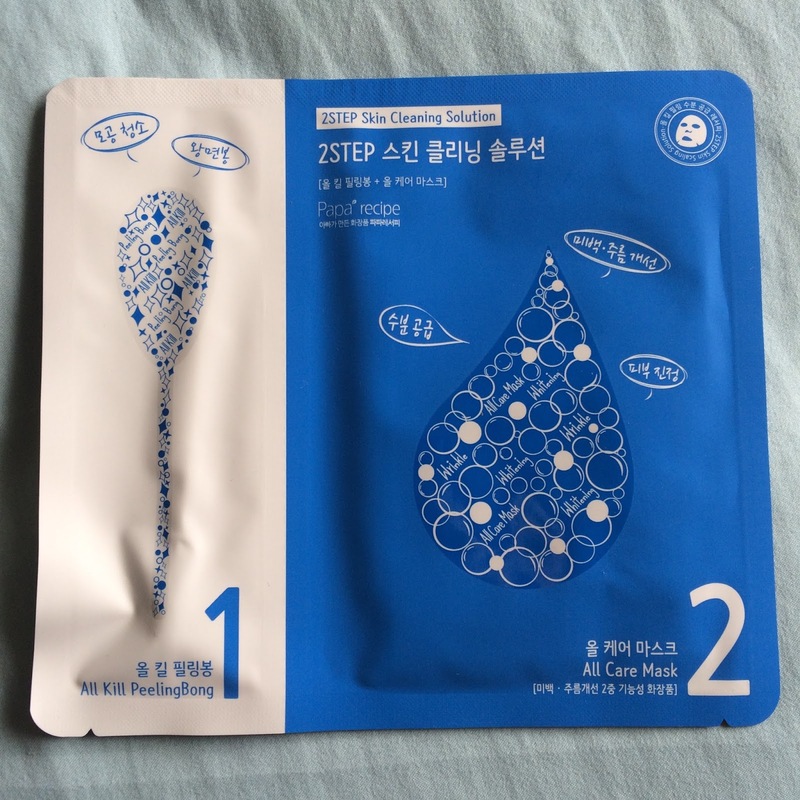 The first step is the All Kill PeelingBong, a freakishly large cotton swab presoaked with acidic solution - and the second step is the All Care Mask, designed to rehydrate your skin after the quick peel process. 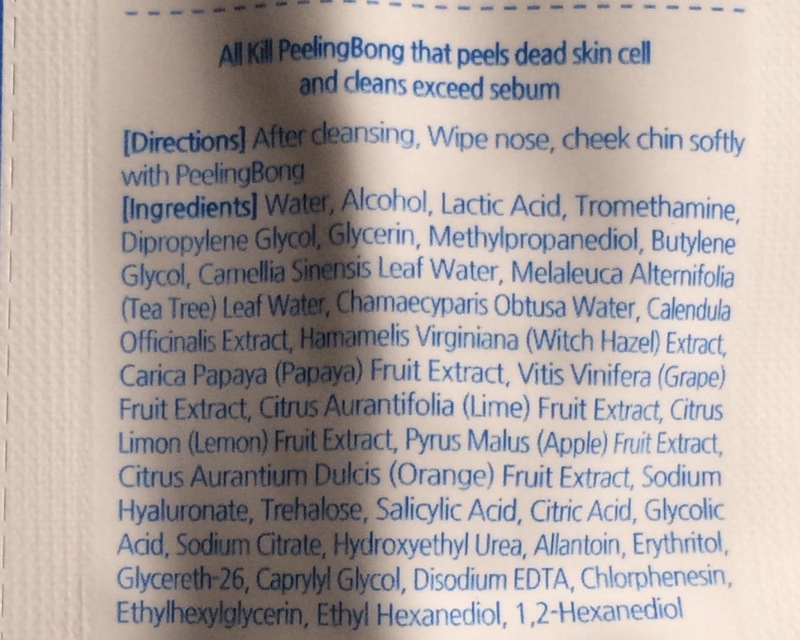 The ingredients lists for both the All Kill Peeling Bong and the All Care Mask look promising, with Butylene Glycol being the only mild trigger in both steps. 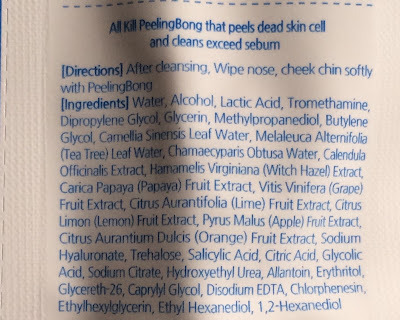 I want to take a minute to point out that the peeling bong solution does contain alcohol, which can be harmful to the skin and break down it's natural moisture barrier - but not everyone is sensitive to it and it's likely not as bad in a single use product such as this. That being said, I myself am extremely sensitive to alcohol, but wanting to try this product I'm taking that personal risk. I'm already experiencing a breakout, so I figure at this point it's better to test it out and see if anything gets worse, but I'm not damaging "perfect" skin so I'm not as concerned. 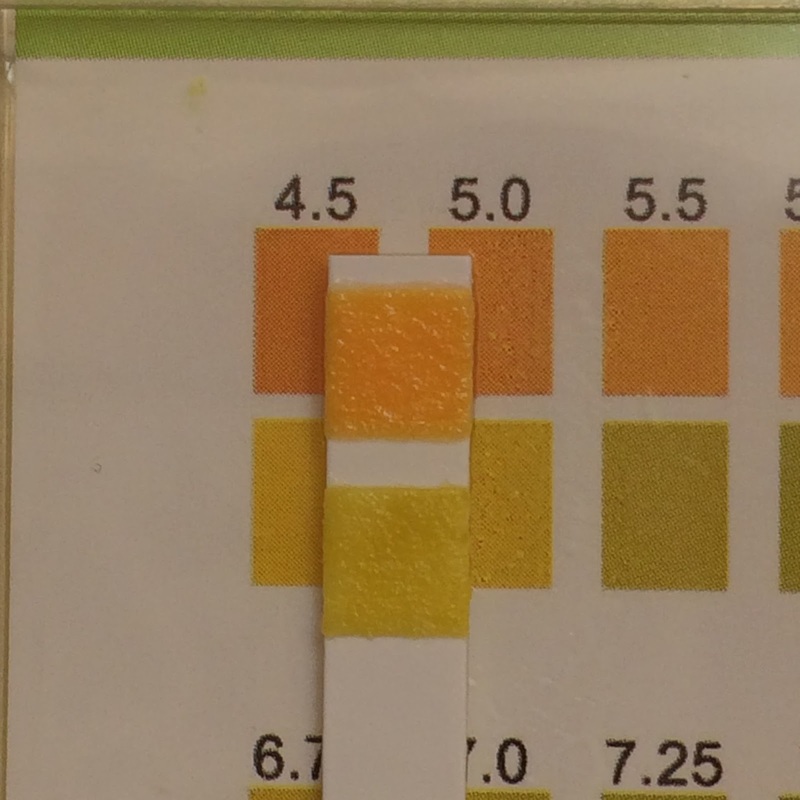 Testing the pH, I came up with a result of about 4.5 - which tells me this product is actually a bit high to provide any serious exfoliation, but still able to gently exfoliate the skin. The plus side is that this means it will provide more gentle exfoliation for sensitive skin, provided you can handle the alcohol content - which I imagine helps the acidic extracts penetrate the skin easier. So step one was using the freakishly large "peeling bong" - or cotton swab. 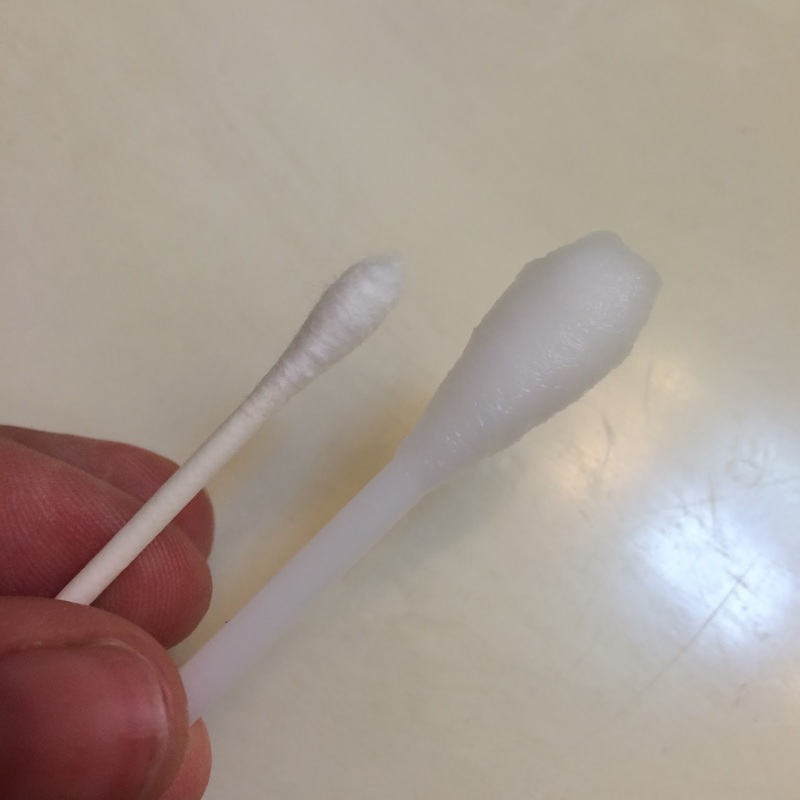 Regular cotton swab on the left, peelingbong on the right. I gently rubbed my face with the cotton swab in circular motions for a minute or two, and I could tell the solution was being rubbed off and evaporating because the swab started drying out quickly. The solution stung a bit, and made my skin feel a little dry, so I was anxious to try out step two - the All Care Mask. 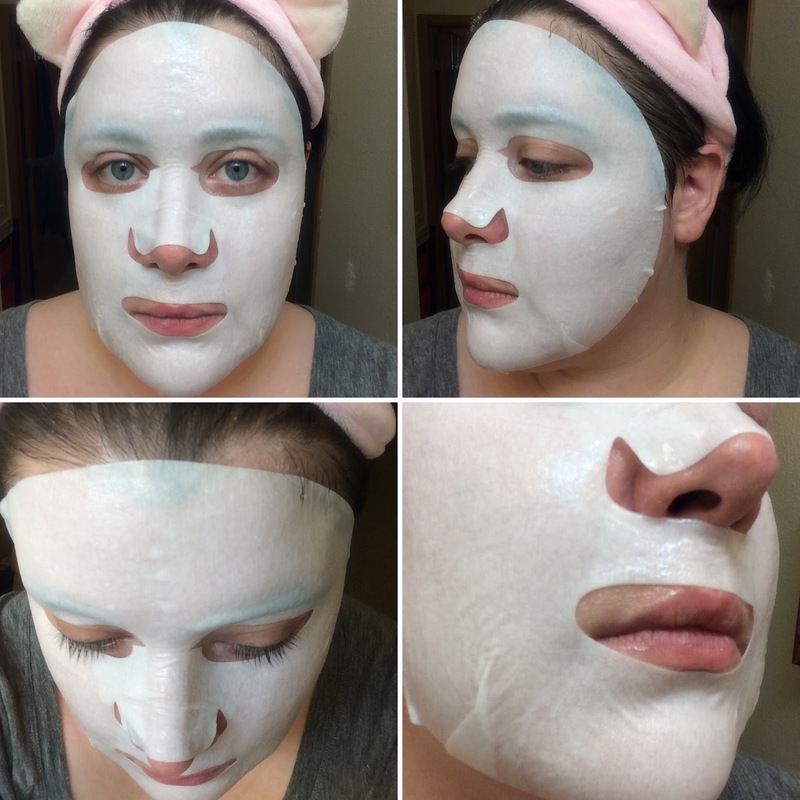 This mask is made from some sort of amazing cotton material that feels super slick and smooth. The material is a little stretchy, just enough to get a perfect conforming fit - beautiful. There was a light fresh scent to the mask, but honestly I was too busy running my fingers across the material to pay any attention to any mild scents floating around in the air. The essence stung slightly on my active blemishes, probably due to the previous acid treatment, but it did disappear quickly as well. I kept this mask on for about 30 minutes and savored every moment of it. After removal, I noticed the redness in my acne had really gone down, and it was less painful too! 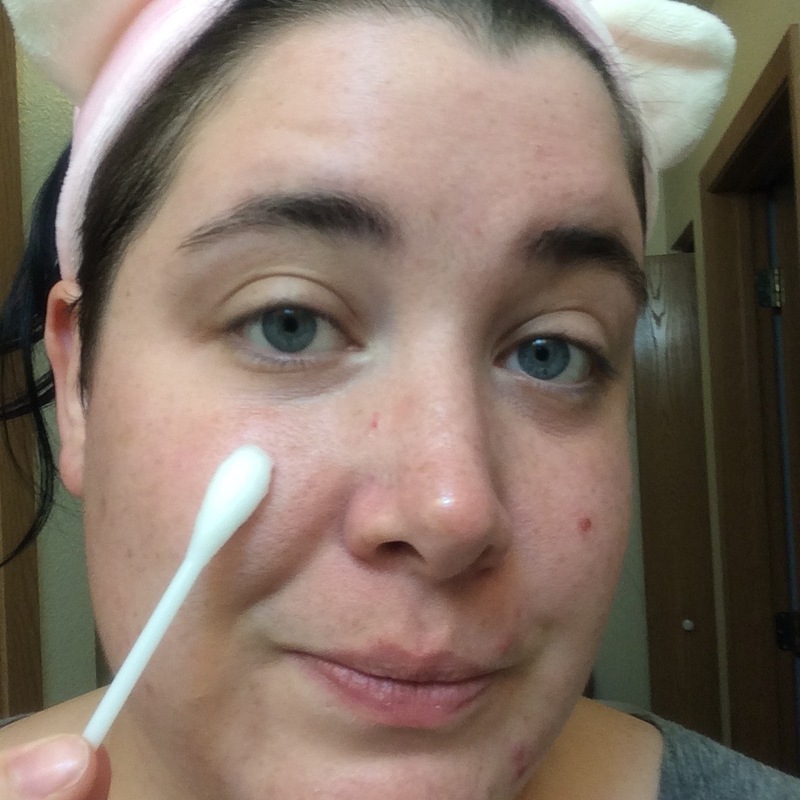 My skin was slightly brighter, which I'm not sure I can contribute to the entire process or just the amazing brightening ingredients in the mask. 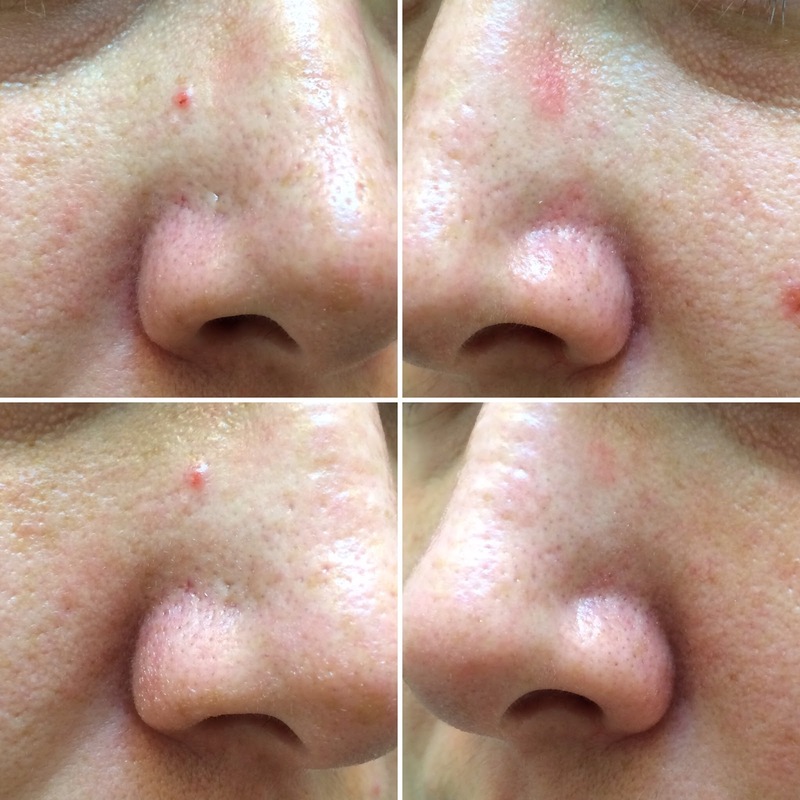 To attest to the powers of even mild exfoliation, I'd like to showcase my disgusting pores... They appear noticeably cleaner after the entire treatment, so I do feel like the peelingbong is still effective. I purchased this product from Memebox USA; (affiliate). TL;DR: This is a two-step gentle chemical exfoliating product allowing you to apply an acidic mixture with a hilarious cotton swab, then follow up with one of the best sheet masks you'll ever use in your life - seriously, if you purchase this for any reason let it be for the mask. 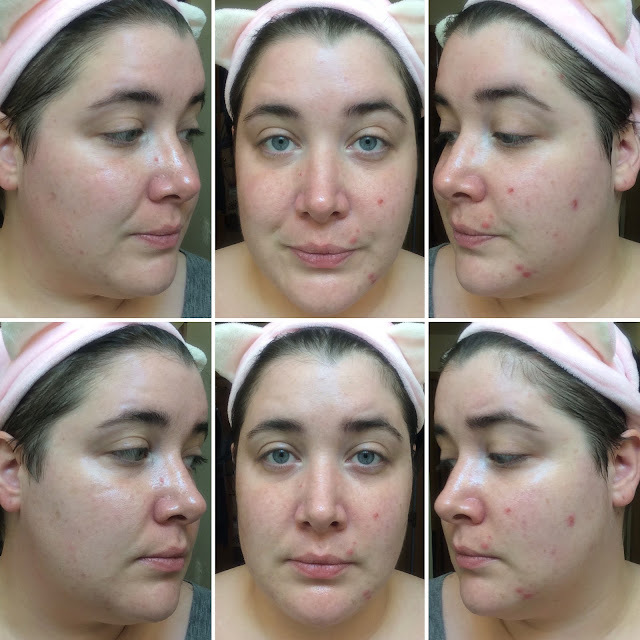 The benefits are not only mild exfoliation, but also brightened skin and cleaner pores. I wonder what the results would be without the "bong." It really sounds like the mask is the star product here. That fit looks amazing, too.